Whether you’re racing a Honda, Acura, Mitsubishi, Toyota, Nissan, or Subaru, CP Pistons has specially designed high-performance pistons off-the-shelf. In most cases, these will directly replace the stock pistons. CP pistons are compatible with oversized valves and high lift camshafts. Part numbers ending in a “X” are on a X-style forging for additional strength, durability and weight reduction. The X-style has a full radius dome design, high-performance rings and lightweight wrist pins. 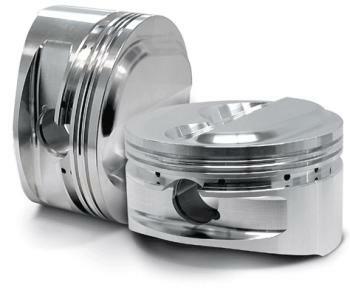 CP Pistons represent the highest quality and is engineered for maximum power. Pistons can be ordered with gas ports, skirt coating, ceramic top coating, and stronger wrist pins if desired. CP Pistons are priced and sold per piston. 4 Cylinder engines will require ‘Quantity 4’ of each part #.